So far there are two stories in this Soundtrack that generated more than one or two reactions. The first is the story about the Bimbobox. After I had written it I realised that bimbo is one of the 1001 words that have a sexual connotation. (I played with the idea to give every story such a title, but like all ideas that seem great at first thought, I am very happy I forgot about it soon after.) But apart from the usual spam (my webmaster warned me not give my mail-address in this blog, because “that’s a sure spam-attractor” ) I got seven reactions from people who either had good memories of a Bimbobox too, or knew where there was still one operative. But so far most reactions on this Soundtrack were on Crackle Rattle Bash. (I played with the idea to write only about Psychobilly in this blog, but I am very happy that I have short time memory problems.) Bert Sonnevelt wrote: “I am the singer of Frank’s first band and I have been in school with Aris in Heerenveen. I have videotape of Crackle Rattle Bash, when they played in Paradiso for the Grote Prijs. Three songs. 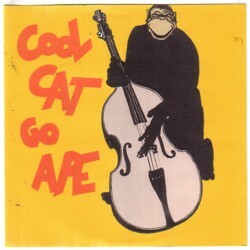 On the LP Cool cat go ape there are two pre-CRB song, with Kai on teabox bass.” That is information enough for a follow up on Crackle Rattle Bash story, so if you are interested in Crackle Rattle Bass, stay tuned. Or get a subscription. If you are a CRB-fan, here some demo-recordings. Frank Baijer, the lead guitarist of Crackle Rattle Bash, asked if he could get a copy of the CD’s that I mentioned. Since he is playing on them, that is the least I could do. But only the good things in life are free and because I expected that Frank is still making music, I asked him for a CD with some recent output. He sent me two! On one CD is a selection of songs that he has recorded in the past few years: Have views on Frank . Not much rockabilly, but very inspired and interesting music. I like it that Frank divided from Crackle Rattle Bash and that his present music barely echoes what he did 15 years ago. My favourite track (I just got the CD’s a few days ago, so I might change my mind after better and more listening to it) is Devil’s Lane. But the fourteen songs on the CD are all very different. There are some guest musicians here and there, but most of the music is made by Frank himself. 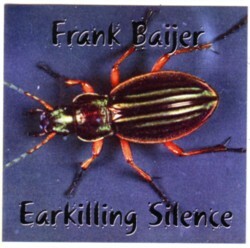 The other CD, Earkilling silence , is a soundtrack for meditations. Minimal soundscapes, with all instruments played by Frank. He even uses a Korg MI and there are many sound effects in the songs. This is not what I usually listen too, so I find it hard to describe it. This is not an euphemism for not saying I don’t like this kind of music. Actually, i listen a lot to soundscapes. But I consider it something completely different than ordinary music. Ambient/minimalistic music is in my mind filed in a section somewhere between music and spoken word. Better judge it for yourself. 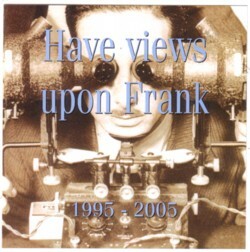 I have no idea if Frank sells this CD’s or if he has any plans releasing them, but I will ask him and keep you informed. heb jij contact met hem? ja, ik heb kontakt met Aris. Mijn mail-adres staat op de homepage van de site, dat kommuniceert wat makkelijker dan langs deze weg! Dat is interessant, die wil ik wel eens horen. Soundscapes en landwaves van Frank Bayer. PS. enig idee wanneer Frank is begonnen met het schrijven van zijn achternaam als Baijer? Heb je misschien ook een emailadres van Frank? Zou ik graag van je krijgen. Dank!